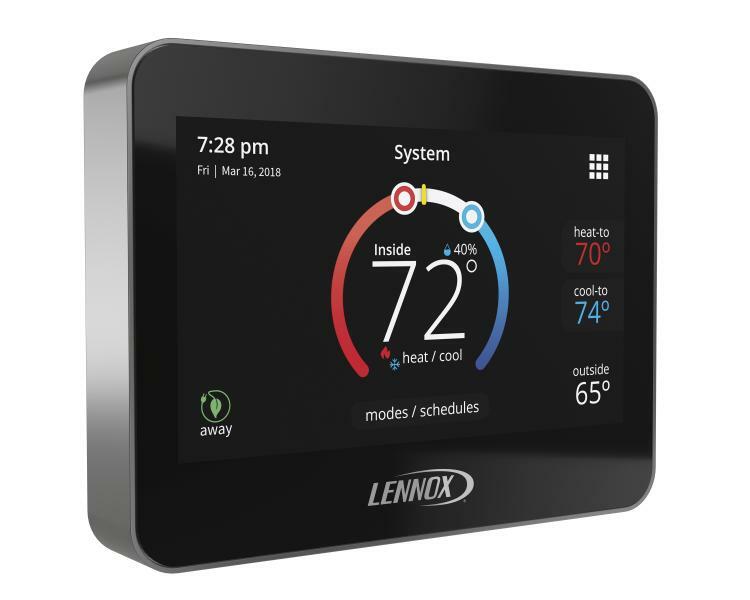 Lennox, a manufacturer of HVAC systems, has added a new entry-level model into its collection of smart thermostats. Designed for homebuilders and remodelers, the economic iComfort M30 smart thermostat controls home temperature and can adapt to a homeowner’s patterns of use. It also works as a whole-home humidifier, optimizing moisture levels in the air, Lennox says. The M30 allows users to set up daily temperature schedules, but also has an Away Mode that can be activated with one touch. Through the Lennox iComfort smartphone app the thermostat can also detect when the house is empty and through Smart Away geofencing saving energy until the homeowners returns. The M30’s Feels Like mode takes into consideration indoor and outdoor temperatures as well as humidity to ensure that the indoor temperature feels accurate, Lennox says. With the app, homeowners can control the thermostat from anywhere in the world and receive performance reports and maintenance alerts. In addition to the smartphone app and the thermostat’s LCD touch screen, the iComfort M30 can be voice-controlled via Amazon Alexa, and can pair with both Lennox non-communicating HVAC systems as well as non-Lennox systems. It will automatically update with the latest Lennox software. The M30 is the latest in the iComfort line of thermostats, and is the entry-level version of the company’s S30 and E30 smart thermostats, meaning "Lennox now has a family of thermostats that meet the needs of homebuilders and remodelers at every level," the company says. For prices, contact your local dealer.